Tickets available for purchase at the door. "Elektricity is taking entertainment to the next level, bringing you the latest in electronic music and top 40s. 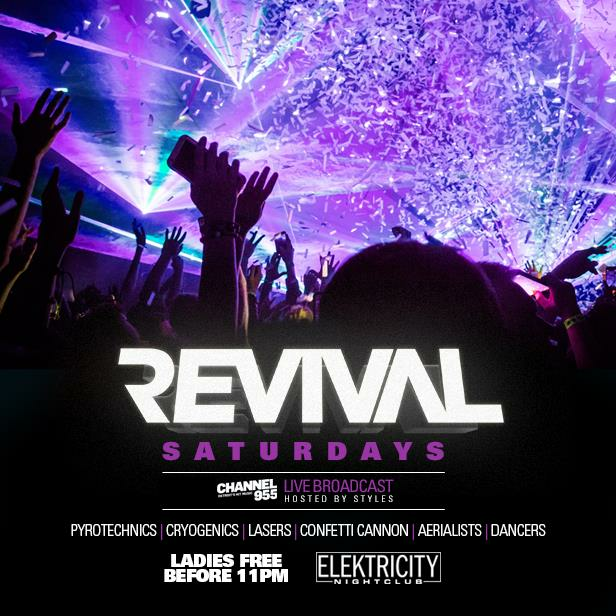 Revival Saturdays is a mind-blowing experience featuring guest aerialists, go-go dancers, lasers, cryogenics, pyrotechnics, and so much more every Saturday night."